Get your lowdown on what's happening in Hollywood, right here! You're The One That I Want -- sung by Grease stars Olivia Newton-John and John Travolta -- has been named the biggest-selling duet of all time. The duo, who spent nine weeks at the number one spot in the UK charts with the song in 1978, claimed second place on the list as well, with Summer Nights, reports the Telegraph. 1. 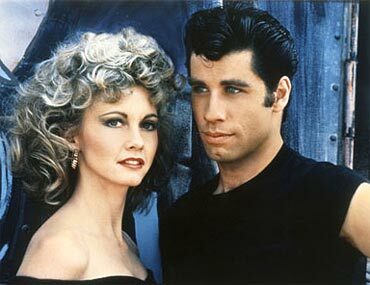 John Travolta/Olivia Newton-John: You're The One That I Want. 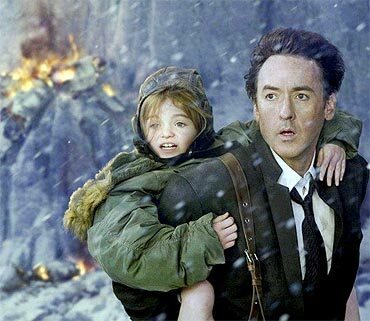 Hollywood blockbuster 2012, starring John Cusack and Thandie Newton, is the worst ever science fiction film, according to NASA scientists. The US space agency said that the end-of-the-world film is the most 'scientifically flawed of its genre'. Bruce Willis's Armageddon, in which an asteroid the size of Texas was broken up by oil workers using drills and a nuclear bomb, was also panned. Arnold Schwarzenegger's The 6th Day was blasted for a plot where the star is cloned complete with his accent in a few hours. Volcano, starring Tommy Lee Jones and Don Cheadle, showed Los Angeles consumed by a super-eruption. Rachel Weisz's Chain Reaction spiced up its plot about generating energy using nuclear fusion with a far-fetched kidnap. Donald Yeomans, head of NASA's Near-Earth Asteroid Rendezvous mission -- study of threats hurtling through space, singled out 2012 as an 'exceptional and extraordinary case'. 'The agency is getting so many questions from people terrified that the world is going to end in 2012 that we have had to put up a special website to challenge the myths. We have never had to do this before,' the Sun quoted him as saying in California. Meanwhile, NASA praised Blade Runner and Gattaca as the most realistic. 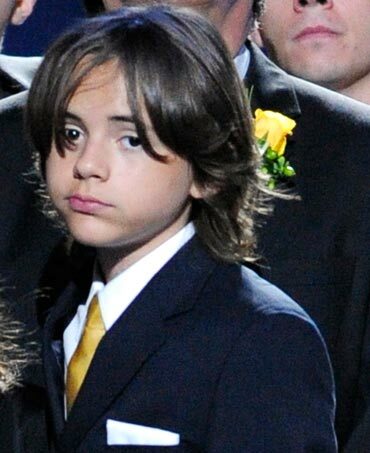 Late King of Pop Michael Jackson's oldest son Prince Michael may be asked to testify in a Los Angeles court on Tuesday. The observations made by the 13-year-old as well as his younger siblings during their father's final days could be crucial to Dr Conrad Murray's defense, who has been charged with involuntary manslaughter in the singer's death. Jackson's former personal physician has, however, pleaded not guilty to the charge and faces up to four years in prison if convicted. 'What Jackson's children may have seen in the past could be crucial to the defense,' Radaronline.com quoted a source as telling the Daily Star. 'If they ever, even once, saw their father administer his own drugs, it will support Dr Murray's claims,' said source. In addition to the pop icon's kids, as many as 30 witnesses may also be called during the two-week hearing which will determine whether there is enough ­evidence to send Murray to trial. Ailing actress Zsa Zsa Gabor is facing the loss of her leg, says her husband. According to TMZ.com, Prince Frederic von Anhalt said that he has taken his wife to hospital and fears her leg will be amputated as doctors try to stop a blood clot from spreading, reports Contactmusic. Von Anhalt said doctors had advised him before the holidays to take her in and have the surgery done, but Gabor refused. The medics have since told her if she didn't have the surgery immediately she would lose her life. Gabor was hospitalised in November 10 with a ''massive blood clot'. Previously, Von Anhalt had told the Los Angeles Times that Gabor had a blood infection and was suffering poor circulation in her right leg. The 93-year-old has been in and out of hospital since breaking her hip in July last year. 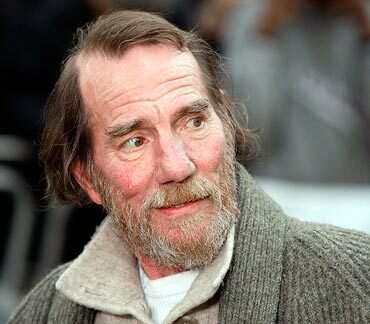 Oscar-nominated British actor Pete Postlethwaite has died at the age of 64 -- after a lengthy battle with cancer. Andrew Richardson, a friend of Postlethwaite, announced that he passed away peacefully in hospital in Shropshire on Sunday, reports the Telegraph. He was nominated for the best supporting actor Academy Award in 1993 for his performance in In the Name of the Father. Postlethwaite also worked in popular films like The Usual Suspects, Brassed Off and Romeo Juliet. His most recent appearance was in Inception last year. Postlethwaite is survived by his wife and two children. Drew Barrymore has bought a six-bedroom, five-bath, Mediterranean-style mansion in the tony Santa Barbara enclave of Montecito, for about $ 7 million. The actress saved more than $ 1 million on the original asking price for the 3.5-acre estate, reports the New York Post. Her neighbours include Oprah Winfrey, Rob Lowe, John Cleese, Billy Baldwin, Steve Martin and Kirk Douglas. 'It's in need of some cosmetic work, having been built 72 years ago, but it's quite an impressive pad,' said Montecito Journal columnist Richard Mineards. Demi Moore was spotted in a bikini at St Barts, showing off a toned body that is giving starlets half her age a run for their money. The 48-year-old actress and husband Ashton Kutcher spent the New Year holidays at St Barts, where Moore took advantage of the sun and surf, reports Radaronline.com. The couple raced around on jet skis, sailed on a lavish yacht and sunbathed.